ReviewInc’s industry leading monitoring capabilities are now available in HootSuite! ReviewInc supports over 200 popular review sites across over 100 countries, and organizes positive reviews for sharing on social media outlets. The ReviewInc app for HootSuite allows you to monitor multiple streams of reviews, engage with customers, and share positive testimonials of your business with your social networks via HootSuite. Give recognition to your supporters; let your customers know that they’ve been heard and you appreciate their feedback. The ReviewInc app for HootSuite allows you to easily share all your online reviews across your social networks. If your location is getting a heap of positive reviews, it’s time to let the rest of the world know. Become the talk of the town by spreading the word through the words of your customers. Are You a Social Media Manager? With multiple account support, the ReviewInc app for HootSuite is a great tool for agencies and social media managers, who manage accounts on behalf of clients and other brands. What Can We Do For Enterprises? In one centralized platform, you can see all your company reviews segmented in every way possible with the filter options (i.e. international, national, regional, local, workflow state, share state, review site, keywords, etc.). With a large organizations, you can create an infinite number of sub-accounts with finely tailored access for your corporate, regional and in-store management. 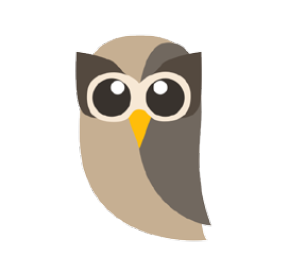 If you’re already a HootSuite user, install the ReviewInc App in HootSuite. The app is free with your current ReviewInc subscription. HootSuite is a social relationship platform for businesses and organizations to collaboratively execute campaigns across multiple social networks from one secure, web-based dashboard. Launch marketing campaigns, identify and grow audiences, and distribute targeted messages using HootSuite’s unique social media dashboard. Streamline team workflow with scheduling and assignment tools and reach audiences with geo-targeting functionality. Invite multiple collaborators to manage social networks securely, plus provide custom reports using the comprehensive social analytics tools for measurement. Key social network integrations include Facebook, Twitter, LinkedIn, and new Google+Pages, plus a suite of social content apps for YouTube, Flickr, Tumblr and more.